The lunch menu at the Roca brothers’ Barcelona restaurant is a worthwhile lighter option for business people or eager shoppers. 2018 Update: Roca Moo is now PERMANENTLY CLOSED. Review: Roca Moo restaurant, Hotel Omm. To get to Roca Moo you must first pass through the ground floor of the five-star Hotel Omm and skirt Roca Bar, which I have previously reviewed. As I noted on that occasion, the Omm is a very stylish place even by the standards of its category, full of casually but expensively dressed guests, and elegant staff who wear sharp black uniforms and radio mics in a well-drilled way. Roca Moo continues that trend of tastefulness in a space dominated by an open kitchen/bar, separated from the Roca Bar only by some open bookcases. Here, a brigade of young chefs in fashionable beards cook directly in front of the diners. Other tables further back miss out on the show cooking but not the culinary fun; when I ate the full €110 Joan Roca tasting menu here a couple of years ago I was very impressed and fully understood why the restaurant had earned a Michelin star. There’s obviously a lot of prior preparation and lip-biting involved for the staff, who have to maintain a library-hushed poise of professional efficiency with no pressure-releasing swearing or throwing of things in bins. Instead, the cooking and plating is near-silent and slick, and it makes for engrossing entertainment despite the sad lack of temper tantrums. The cooking aromas are wonderful. As well as the Joan Roca tasting menu and the €80 Classics menu (and the à la carte choices), Roca Moo also offers a €49 four-course lunch menu from Tuesdays to Fridays (holidays not included), which includes a glass of wine and coffee. These dishes are approved by the Roca brothers but are largely the creation of Moo head chef (and el Celler de Can Roca veteran) Juan Pretel. To give me a better taste of the season’s new dishes, the kitchen agreed to prepare extra courses from the lunch menu together with an impromptu wine pairing. This was the first day of the new season’s menu and I was a willing guinea pig. The first thing I got was a plate. Look, a plate! Painted with a beautiful design yes, but still fundamentally a white plate. This is A Good Thing. (Go and follow @wewantplates to see some of the most egregious examples). Roca Moo doesn’t stick to plates throughout but it avoids the worst excesses of presentation in favour of keeping things classy. An air-light brioche of suckling pig, a clever, spherified tortilla de patatas (Spanish omelette), and a twiglet-like palito dotted with salty and garlicky sauces started the lunch in style, paired with a glass of Gramona III Lustros cava. A version of the classic Galician polbo à feira (not on lunch menu) saw the potatoes transformed into a cloud-like, almost egg-custardy puff with the tender, paprika-dotted octopus floating on top. Homemade botifarra sausage made with escalivada (grilled vegetables) and anchovies over a crunchy polenta cracker, and drops of anchovy mayo, romesco and sweet black olive sauce was a very Catalan – and very enjoyable – new creation. Paired with a 2014 Cobero, Goyo García Viadero. V.T. Liébana. Figs à la royale with foie soup and touches of manchego cheese stopped me in my tracks. A foie soup could have beeen unbearably rich but this was velvety perfection, poured at the table over the soft figs. A stand-out dish, paired well with an Ekam Essència 2010, Castell d’Encus, D.O. Costers del Segre Riesling. Creamy rice cooked with a bisque of galeras (Mediterranean mantis shrimp) was also excellent, with plenty of crunch in the green beans, crispiness in the artichokes and chewiness in the grains. Seasoning was spot-on but the dish was a lemon-slice away from perfection, needing a hint of something to counter the richness. Paired with a Sasserra Vega de Ribes Penedes. Corvina (my preferred translation of, er, corvina; who wants to eat something called ‘meagre’?) cooked at low temperature with plankton “tagliatelle” and gelée of tomato water. Plankton is almost impossible to avoid in Barcelona fine dining restaurants, especially since the arrival on the scene of Ángel León in BistrEau and while I am yet to be rapturously moved by its qualities it was OK here. Wine was a Finca Viladellops 2013, D.O. Penedés Xarel·lo. Pink Iberian secreto (a prized cut of pork from inside the shoulder), Santa Pau beans and a green “mojo” of cavolo nero, almonds and vinagre. The secreto benefitted from a kiss of smoke from the grill and the grassy undertones of the “mojo”. The creamy carbohydrate of the beans was an obvious but ideal side. Paired with a 2011 Viñas del Cadastro, Olivier Rivière, D.O. Arlanza tempranillo/garnacha. ‘Tea time’ took my back home to England, with a floral Early Grey sorbet (a tea first created in my native Northumberland), lemon crunch, vanilla-flecked panna cotta and gingerbread. Gingerbread! 10/10 for this one, but I admit I may be biased… Pairing was an excellent Lustau Añada 1997 abocado Oloroso sherry. Petits fours and coffee to finish. If you are going to Roca Moo and funds permit, treat yourself and have the Joan Roca menu or the Classics menu. Both are wonderful, and they’re the reason the restaurant has a Michelín star. The lunch menu, however, is intriguingly different. At €49 for four courses (plus snacks, petits fours, coffee and a drink), it’s a more straightforward but equally high-quality assortment of dishes that represents great value for the level of cooking on offer. It’s one of the reasons that Roca Moo is one of the few hotel-based one-stars where you’ll regularly find locals going back as repeat customers. This blog report isn’t fully representative: I had all the dishes on offer, plus a few more, plus €49-worth of wine pairing, but this is my job. The standard menu would have been delicious and filling, but not so much that you couldn’t face getting on with an afternoon of meetings, conference activities, shopping or sightseeing. Given the size of that potential business and tourist audience near Passeig de Gràcia, it’s no surprise that Roca Moo is working hard to capture it. Roca Moo: Hotel Omm, Carrer de Rosello 265, 08008, Barcelona; Tel. (+34) 934 454 000; Metro Diagonal; Closed Sun., Mon. 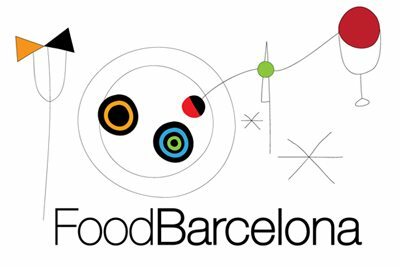 Find Roca Moo on the FoodBarcelona restaurant map.